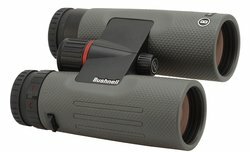 AllBinos.com - binocular review, binoculars reviews, binoculars specification - AllBinos.com . 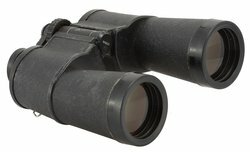 The Olympus company made us wait for their binoculars launches in the class of objectives bigger than 30 mm quite a long time. 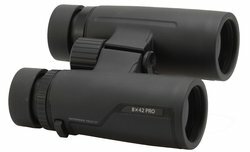 All fans of Olympus equipment finally had a reason to be happy when, by the end of October 2018, the company showed two new PRO models, the 8x42 and the 10x42. 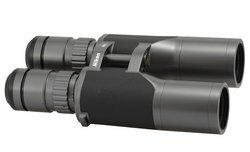 In the middle of 2017, while getting two Delta Optical Chase models for tests, I spoke with Grzegorz Matosek, the CEO of Delta Optical, and found out that they were finalizing a new series of binoculars, the most expensive in their offer so far. In September 2018 a series called Titanium HD ED was launched on the market and immediately hit the shelves. This time, quite an unusual episode of the series "Legendary binoculars", because the main character is a pair of binoculars, which for many of you is not legendary. 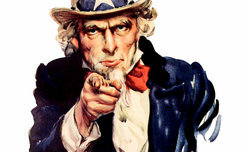 We encourage you to check why we decided to write about it. 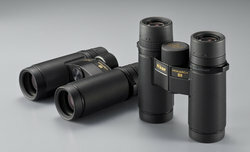 During last couple of days we had opportunity to play with the new Nikon Monarch HG 10x30 binoculars. Please enjoy our hands-on. There is an unusual story behind this review. 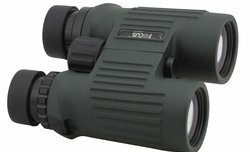 One of our Readers has bought a brand new Swarovski EL 10×50 Swarovision and, during the observations, he was unpleasantly surprised. In his opinion the new instrument fared weaker against bright light than several other, much cheaper pairs of binoculars he owned. 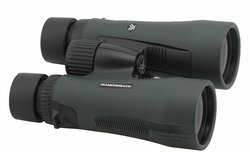 The current Vortex Diamondback series was launched on the market in 2016. It consists of as many as eight models with the following parameters: 8x28, 10x28, 8x32, 10x32, 8x42, 10x42, 10x50 and 12x50. All of them are roof prism Schmidt-Pechan instruments with prisms covered by dielectric coatings. 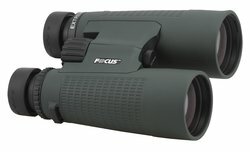 The Focus Nordic Extreme series consists of binoculars with following parameters: 8x32, 10x32, 8x42, 10x42, 10x50 and 12x50. 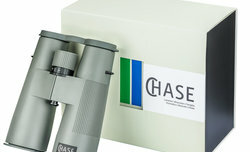 They are all Schmidt- Pechan roof instruments with phase-correction coating on prisms. Also all elements are supposed to be covered by FMC coating. 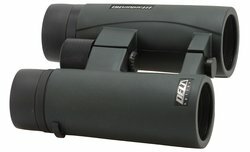 Delta Optical Chase 10x50 ED - binoculars' review. 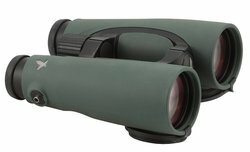 In March 2017 the Polish Delta Optical company announced a launch of a new series of binoculars called the Chase ED. It was supposed to consist of four models with the following parameters: the 8×42, the 10×42, the 10×50 and the 12×50. In the year 2017 the Nikon company was celebrating its 100th anniversary. Many people wondered how they would commemorate such a round date. 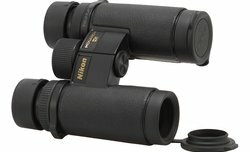 The fans of photography expected a bigger number of interesting launches but Nikon chose another way, perhaps in accordance with their heritage - after all the beginning of the company was closely related to sport optics, not photographical instruments. 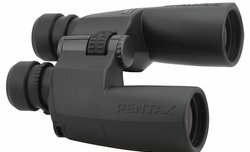 For the first time in our history, we do not stop at the writing the review - the Comet 6x24 binoculars are returning to the workshop, this time literally. We strip it almost to the last screw and try to answer the questions: what was neglected by the manufacturer, what can be improved on their own? And most importantly: how much will the performance of the Comet improve after such "tuning"? 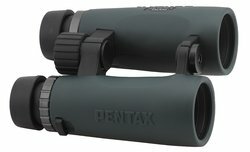 The S series of Petnax binoculars consists of a wide array of models. You can find among them porro prismatic, waterproof SP WP devices, SP instruments devoid of any waterproof qualities, and also three roof prism models marked as SD WP. 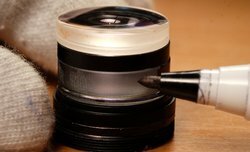 The Focus Nordic company is perhaps not especially known on the Polish market but their traditions are long - they’ve been selling their products in Scandinavia for several dozen years. Some time ago they started to advertise more intensively in Baltic countries and now they are trying to conquer other markets, Poland included. The Porro SP WP series produced by Pentax was launched on the market in 2015 superseding PCF WP devices. In practice it meant the barrel was changed a bit and 7x50 and 16x60 models disappeared from the line-up, leaving instruments with the following parameters: 8x40, 10x50, 12x50 and 20x60.